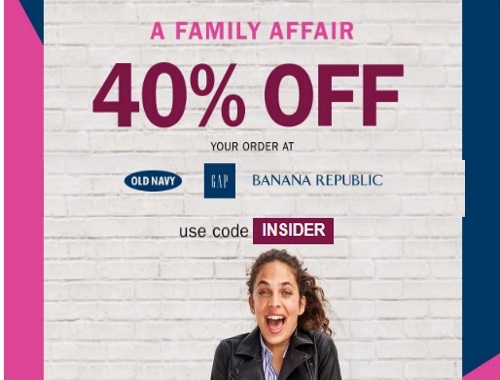 Gap, Old Navy and Banana Republic are offering 40% off online right now! Enter the promo code INSIDER to get the discount. Offer is valid through September 25, 2017. Plus for Gap get an extra 10% off with the promo code GAPMORE. Yes you can stack codes.